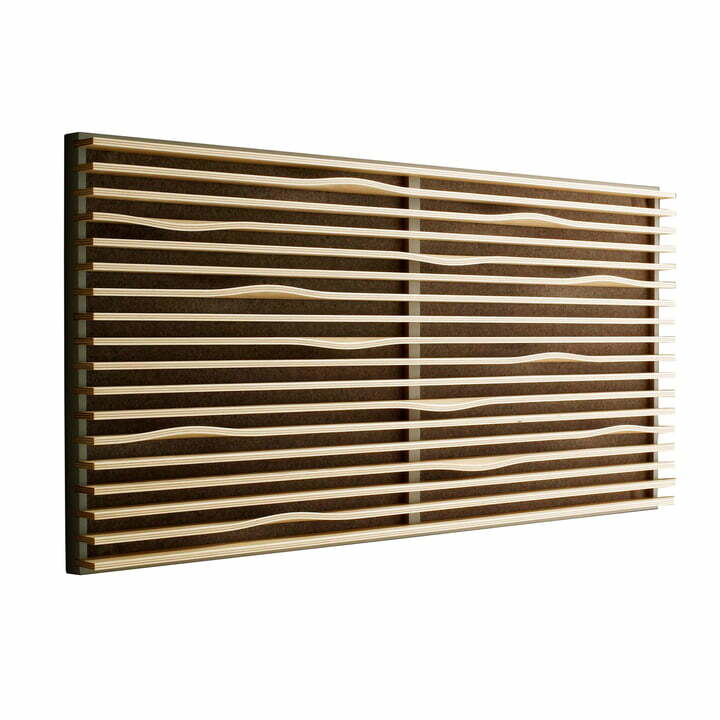 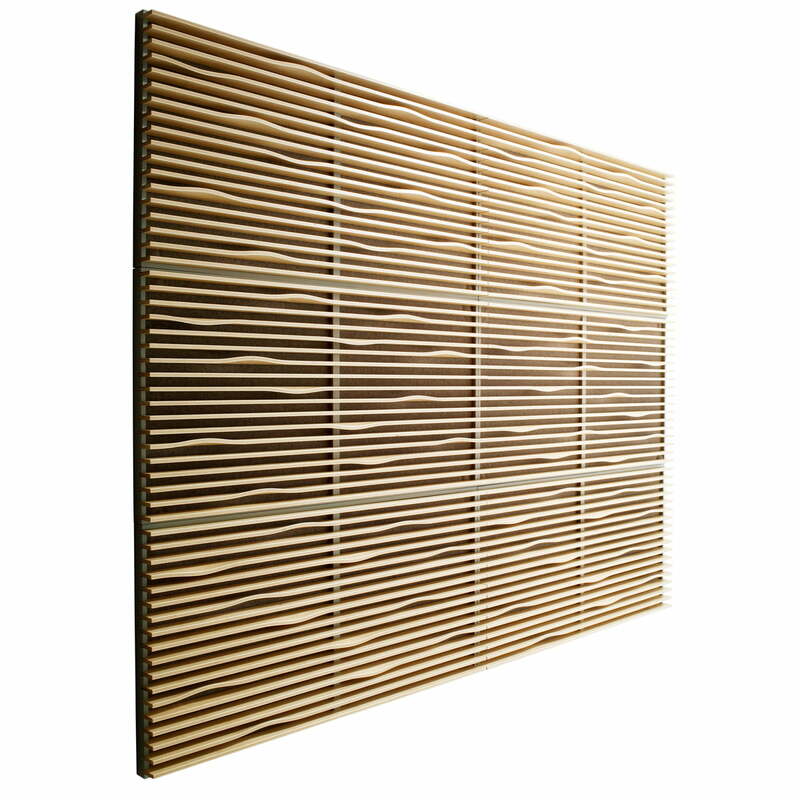 Noton is a decorative acoustic wall panel, with good absorption properties - Absorbtions class C, aw 0.65 (H). 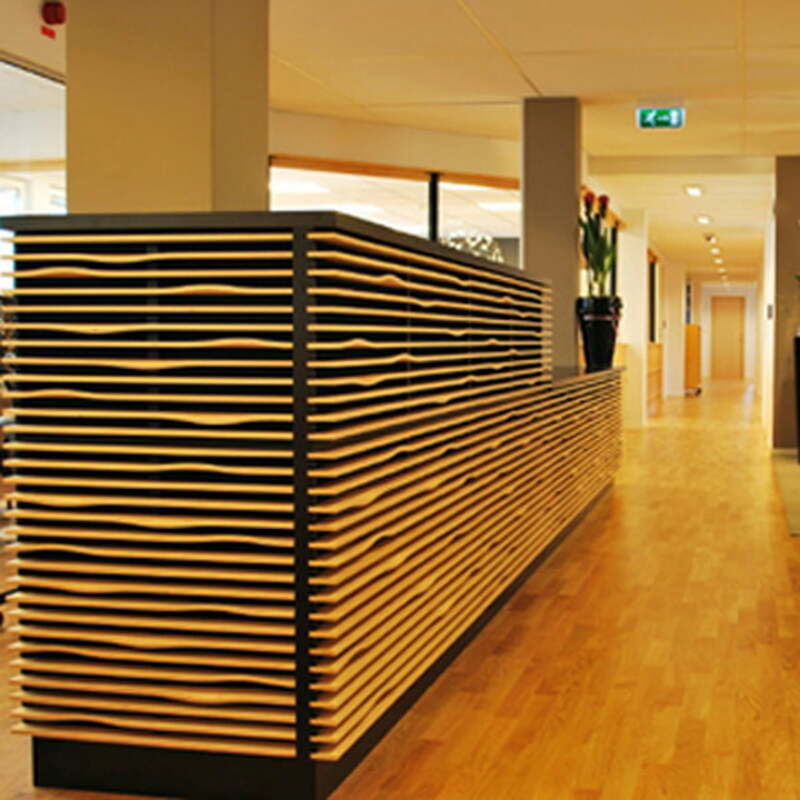 It was designed by the Swedish architecture and design bureau Claesson Koivisto Rune for Swedese. 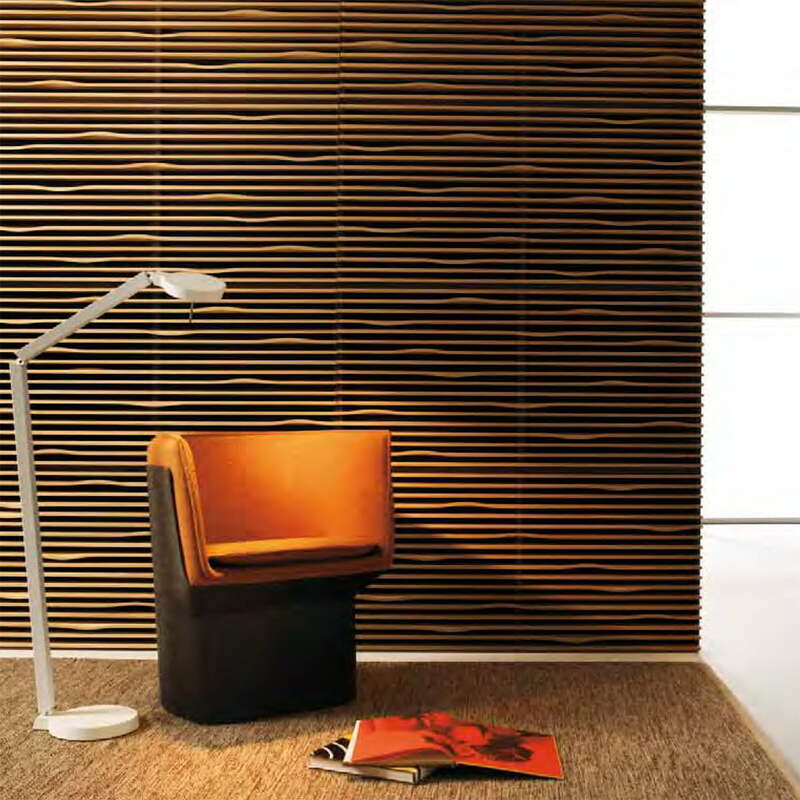 Noton consists of layered glued birch (birch veneer) and a solid black stained wood frame, which makes it extremely natural. 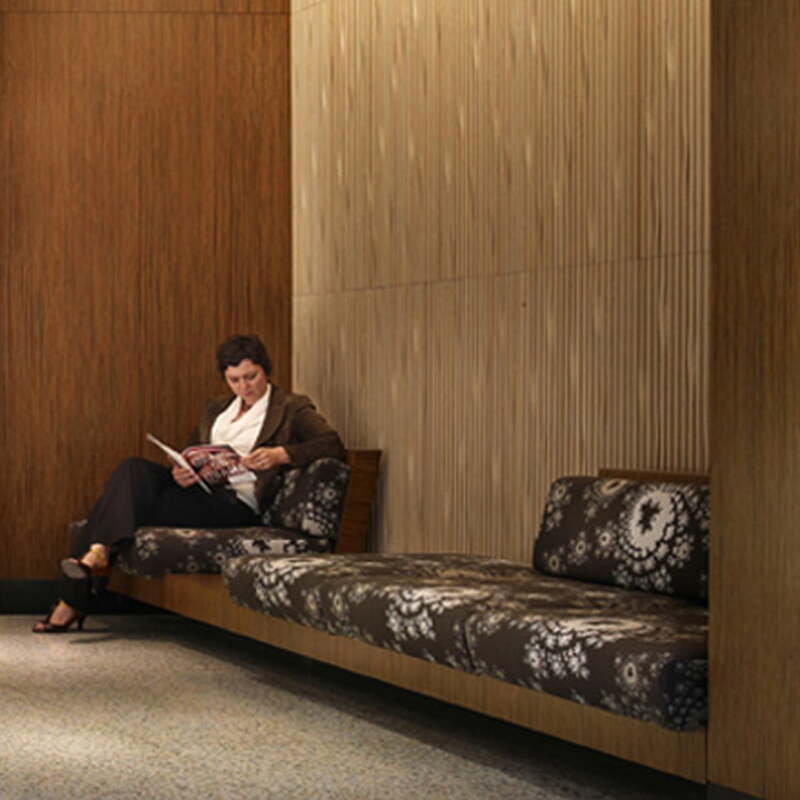 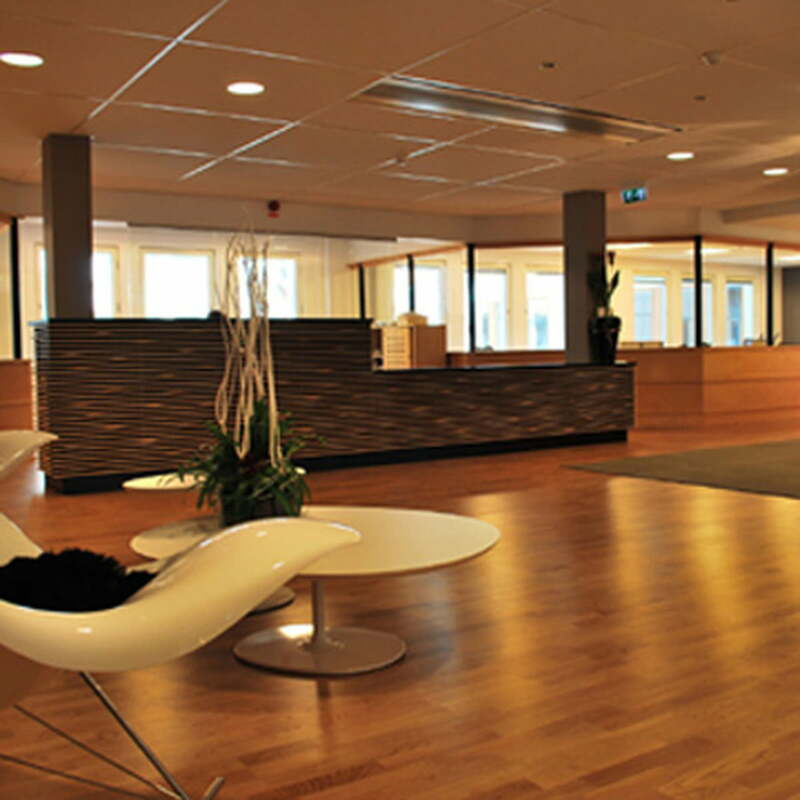 It can also subtly be integrated into many different architectural styles and with different furnishings.